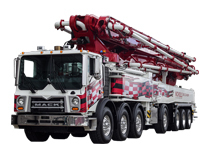 Needing another addition to your fleet, but not quite able to invest in a new pump? We'll help you find the right match! 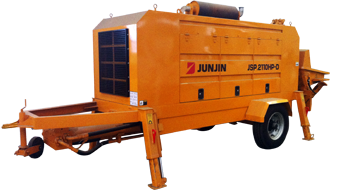 Looking for replacement parts for your concrete pump? We've got them and can get them to you quicker than ever! Tell us a little bit about your business needs and we will help you find the perfect Alliance model for you. "Alliance machines are easy to understand and maintain; we love the simplicity." "We are confident in the jobsite performance of an Alliance pump." "We receive superior parts and technical support from Alliance." "We trust the people at Alliance and it is a pleasure dealing with them." "Not only is an Alliance pump easy to sell, it retains a high resale value." "Alliance machines are reliable and consistently economical to run (per meter/yard pumped). "Alliance took good care of us during the recession, when others didn’t." Alliance 2017 Parts Catalog - hard copy and e-mail version now available. We promise to never sell or share your information and dislike overbearing emails as much as you. The parts e-mail will be limited to 14 per year.